Father Stephen Coffey, Father Daniel, family and friends of Sister Rosemary thank you for your presence here today to witness and celebrate Sister Rosemary’s perpetual monastic profession. Many of you came from a great distance! Sister Rosemary and we Sisters of Annunciation Monastery are grateful for your support and encouragement as we welcome her into full membership in our monastic community. Today is a day of great joy and thanksgiving. Sister Rosemary, we Sisters of Annunciation Monastery give thanks to God for your presence among us. We look forward to our continued journey in community as we seek God together through the monastic way of life. Sister Rosemary, you are a gift to us. You have grown over these years of formation into someone who places seeking God in community above self. God has graced you with many gifts and talents that you so freely share in the service of others. And you continue in your desire to grow deeper in relationship with God and this community by responding in ways that are meaningful and helpful in building up the kingdom. St. Benedict asks if the candidate truly seeks God. Sister Rosemary, we know you are intent on seeking God. We are inspired by your faithfulness to personal prayer, our common prayer, living community and being of service to God’s people. You desire God, and God also desires you. God is the one who has called you and wants you to bear much fruit. You have given up much but you have also gained much as you give yourself completely to the love of Christ. In the Gospel you chose for today Jesus says, “If you remain in me and my words remain in you, ask for whatever you want and it will be done for you. By this is my Father glorified, that you bear much fruit and become my disciple.” What is this fruit that Jesus speaks about? It is in the second reading you chose – “heartfelt compassion, kindness, humility, gentleness and patience.” Sister Rosemary, you already have those gifts and you, like all of us, will continue to make them a deeper part of your being. Perpetual monastic profession is a profound commitment. It is first of all a response to an invitation that comes from God. Its source is baptism. At baptism, Sister Rosemary, you became a child of God. Later, hearing the call to monastic life, you said “yes” - eager to grow in the knowledge and love of God. Monastic life is a lifestyle that focuses more intently on making Christ the center of our lives through living in community, under the Rule of Benedict and a prioress. At Annunciation Monastery, this is lived out in concrete ways. We live, pray and eat together, we practice sacred reading and meditation, we contribute to household tasks and we support each other in our ministries. Our monastic life not only helps us to be Christ-centered but also other-centered. We have dedicated our lives to Christ, to each other and to all God’s people. So it is in the daily, the ordinary living that the Benedictine sister seeks and finds God through the threefold promise of stability, fidelity to the monastic way of life and obedience. Through the promise of stability we commit ourselves to this group of women, in this community, in this place on the prairie. It means staying put when we’d rather retreat from ourselves and God. It means allowing God’s “staying power” to hold us in the daily ups and downs of life. By the promise of fidelity to the monastic way of life, we commit ourselves to keep on growing in the Benedictine way – to open ourselves continually to the transforming grace of God. It means being faithful to the entire monastic lifestyle which includes prayer, hospitality, solitude and community. Obedience. As Benedictines we believe that when we listen, God speaks to us. Each of us is called to listen with the ear of the heart. We listen to the voice of the Spirit in the Scriptural Word and in the Rule of St. Benedict. We listen to the prioress, and to the voices of the women with whom we live. We listen to those we serve, we listen to the call of the Church and the cry of the poor. Through all of these interconnections, God speaks and directs the movements of our lives. As we listen and respond, we are living our promise of obedience. In just a moment Sister Rosemary will stand before God and us and make her perpetual monastic profession. She and I will sign the document of profession on the altar. It will remain on the altar as we continue the celebration of the Eucharist as a sign that she has given her entire self to God. At the close of liturgy I will take the document from the altar and place it permanently at the monastery. Then, with her arms raised in a stance of receptivity, Sister Rosemary will sing the Suscipe, “Receive me O Lord according to your promise and I shall live. Do not disappoint me in my hope.” It is a call for God’s help in living out what she has just promised. She will sing this three times and after each time we Benedictine sisters will respond as a sign of unity with her. Together we stand with Sister Rosemary in a bond of obedience and dependence on God. Next she will lie prostrate before the altar and we will sing a litany of blessings / that she be given the strength and courage to live out her perpetual monastic profession. She prostrates as a gesture of humility and as a sign of dependence on God and the community. 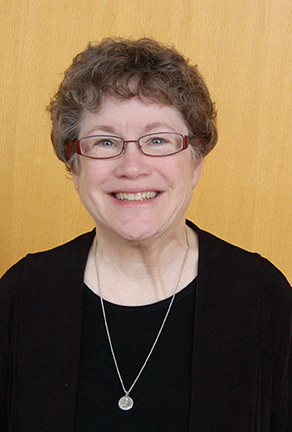 In the final action of the profession rite, Sister Rosemary will receive our community’s ring, a visible sign of her commitment to God and the Sisters of Annunciation Monastery. Sister Rosemary, you have come to know the encouragement and wisdom of St. Benedict through his rule and our community. You are also encouraged by the words we heard from the Book of Proverbs, “My child, if you receive my words…if you call…if you seek…then you will understand and God you will find.” This is your desire, to come to know and love God more deeply through your call to embrace the monastic way of life. Sister Rosemary, you are ready to be counted as one of our community from this day forward. We are eager to receive your perpetual monastic profession. God bless you this day and forever.